this model is becoming more popular with our clients as electrical utility rates skyrocket. Take your home to a new level of comfort with our highest efficiency heat pump that gets up to a 19 SEER cooling rating. It features a two-stage scroll compressor and variable-speed fan for quiet electric heating and cooling that operates mostly in a quieter, low stage. Use it year-round in warmer climates, or combine it with a compatible gas furnace and thermostat to gain dual fuel heating efficiency in colder climates. You can also enjoy the convenience of remote access and the assurance of best levels of performance and comfort management when you pair it with a complete Observer® communicating system, including the energy-smart Observer communicating wall control with Wi-Fi® capability. You can experience quiet comfort with our high-efficiency heat pump that gets up to a 16 SEER cooling rating. It features a single- stage scroll compressor for electric heating and cooling. Use it year-round in warmer climates, or pair it with a compatible gas furnace and thermostat to gain dual fuel heating efficiency in colder climates. You can also enjoy the convenience of remote access and the assurance of best levels of performance and comfort management when you pair it with a complete Observer® communicating system, including the energy-smart Observer communicating wall control with Wi-Fi® capability. You’ll find the reliable comfort you want with the efficient, budget friendly heat pump that gets a 15 SEER cooling rating. 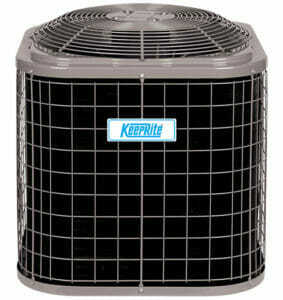 It features a single-stage scroll compressor for quiet electric heating and cooling. Use it year-round in warmer climates, or pair it with a compatible gas furnace and thermostat to gain dual fuel heating efficiency in colder climates. It is ENERGY STAR® qualified, which means you can enjoy money-saving, efficient comfort.